Former Chicago Bulls star Dennis Rodman played 24 minutes with the team Fuerza Regia in a Sunday match of the Mexican Basketball League, and just six minutes in a previous match last Friday, local press said Monday. With the nearly 24 minutes of Sunday it seemed Rodman could restore himself after the criticism he received for his short appearance on Friday. He was welcomed by 11,000 fans who saw Rodman help the team beat Correcaminos of Tamaulipas 107-95. Rodman grabbed four points, seven rebounds and three assists. 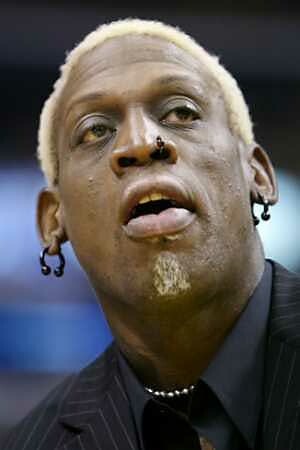 Thus Rodman ended his contract with Fuerza Regia who invited the US player to promote its activities and those of the Mexican Basketball League.